Unleashed Productions, Inc. Textures Unleashed Lite Volume 13: Metal II This collection includes 140 different seamless metal textures. PNG files supplied at 256x256 pixels for each texture. <a href=\"https://seamless-textures-unleashed.com/wp-content/uploads/2015/04/Textures-Unleashed-Volume-13-Metal-II-Insert.pdf\">Download a free PDF catalog of this collection.</a> If you would like higher resolution versions of these textures, please order <a href=\"https://seamless-textures-unleashed.com/store/?model_number=TEX-013\">Textures Unleashed Pro Volume 13: Metal II</a>. 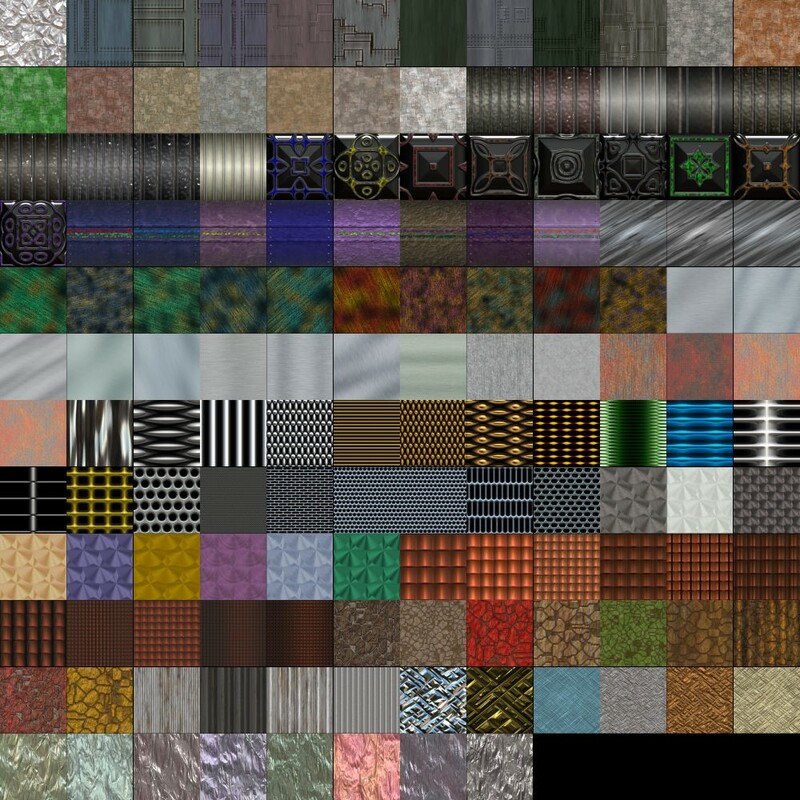 This collection includes 140 different seamless metal textures. PNG files supplied at 256x256 pixels for each texture. Download a free PDF catalog of this collection. If you would like higher resolution versions of these textures, please order Textures Unleashed Pro Volume 13: Metal II.